Concessions offered to commercial tenants in the form of free rent or early occupancy. Many commercial office tenants need specialized finishes to their space that are higher than what the building standard requires. The additional expense is typically paid by the tenant, amortized over the term of the lease, or negotiated as an additional lease concession. The percentage rate in which available commercial space in the office or industrial market is leased during a specific time period. Also known as the Load Factor. This is the difference between the Rentable and Useable square footage of office space in a high rise building. Usable square footage is the actual square footage between the four walls of a tenant’s space. To get to the rentable number, the pro-rata share of the Building Common Areas (such as lobbies, public corridors and restrooms) is added to the usable square footage. Commercial landlords have been known to amortize additional tenant improvements over the term of the lease at a reasonable interest rate. The rate-per-square-foot paid by commercial office tenants before any escalations, net, or operating expenses. In a Gross, (office lease), and Modified Gross lease (light industrial or office), this is the established base level of building operating expenses. Any increase over this base will be charged back to the tenant on a pro-rata share in upcoming years. The landlord will establish their minimum standards for tenant improvements to be constructed in the building. The tenant establishes their needs, and negotiates to push the responsibility for the cost and construction of the tenant improvements to the landlord. Any improvements to the commercial building that has a useful life of more than five years, or that conforms to GAP accounting standards. Certifies that a commercial building and the leased premises are suitable for occupancy. Those areas within a commercial office building that is available for common use by all tenants, including but not limited to lobbies, corridors and restrooms. This expense is charged back to the tenant on a pro-rata share above any base year. Typically, this does not include capital expenses. Measures inflation in relation to the change in the price of a fixed-market package of goods and services purchased by a specified population during a ’base‘ period of time, commonly used to increase the base rent of commercial space annually. Adjacent spaces that can be combined and lease by a single commercial tenant. Represents the square footage allocated to the office building’s common areas. Failure to perform a legal or contractual duty. A full height wall that separates two tenants in a commercial building. Base rent with an increase for the term of the lease minus landlord agreed to by the landlord. A way to measure the economic efficacy of the tenant’s use of space. The increase in commercial building operating expenses over the base year, to be paid by the tenant. A document signed by the tenant for the benefit of a lender confirming that the rent and any other agreements made between the landlord and tenant. Any expenses above the maximum level (“Stop or Base”) to which a landlord will pay certain operating expenses, and after which are to be paid by the tenant. Amounts above the ‘stop’ are the responsibility of the tenant. A commercial building that combines office, showroom and warehouse. Usually, no more than two stories and does not have common areas. Base rent included triple net or operating expenses. Tenant is responsible for any increase in those expenses over the base year. Established by measuring the outer surface of the exterior walls and windows of a the commercial building and including all vertical penetrations and basement space. A penalty paid by the tenant for retaining possession of the leased premises after the expiration of a lease. A commercial tenant negotiates to terminate the lease and remaining term early in exchange for monetary consideration. Construction, remodel, and other improvements made for the benefit of the commercial office tenant as part of a lease. The tenant, the person or entity leasing the property. The landlord, the person or entity who owns or manages and leases the property. A letter from a bank guaranteeing that a tenant’s payment to a landlord will be received on time and in the correct amount. In the event that the tenant is unable to make payment on the lease, the bank will be required to cover the full or remaining obligation. The preliminary agreement outlining the major business points of a lease. Further negotiations will be conducted around the final contract. The ratio of rentable area to useable area in an office building. Also, known as the Core Factor. The original lease prior to any subsequent leases. Is the Base rent with a base year for operating expense plus utilities and janitorial. The expense incurred by a commercial tenant to move to new space. This is when a company looking to commit to additional space for future growth upon the execution of the lease. It is a very good strategy and can provide built-in expansion space at lease terms consistent with the original space. Tenant is to pay its proportionate share of all expenses to operate the building. The only difference between owning the building is that your name is not on the title. Measures the net benefit of a project, tenant improvement or commercial space in today’s dollar terms. A negotiable amount at which the landlord’s contribution to operating expenses is limited or capped at a specific amount not to exceed that percentage. Includes all expenses of a landlord for the operations of a commercial building. This includes but is not limited to, real estate taxes, utilities, insurance, maintenance and repairs, common area refurbishing, janitorial, materials and supplies, repair service, property management, security fees, employees and contractors, outside maintenance, cost of signs, rubbish removal, pest control and bulb replacement, etc. Any increase over the commercial tenant’s base year, which is charged back to the tenant. A parking allocation per 1,000-square-feet leased by the tenant, calculated as a ratio between the total number of spaces in a building divided the total rentable square footage of the commercial building. A commercial investment vehicle that invests money in real estate, then distributes the profits to its investors or shareholders. The date, after free rent and the completion of interior tenant improvements, on which a commercial tenant starts to pay rent. Square footage to the office tenant for which rent will be payable. It includes usable square footage plus common area load factor. Allowances, either monetary or material, offered to a commercial tenant by the landlord in order to fill the landlord’s available space. An inquiry that reflects specific needs of a tenant or their commercial tenant representative and solicits a proposal from a landlord to meet those space needs. Defined as the rentable area divided by useable area. A term lease that an owner-occupant and commercial buyer sign, selling the property to the same investor. When a primary tenant leases some of or all of their space out to another tenant to co-occupy. The commercial tenant agrees to subordinate to any recorded mortgage, or deed of trust lien, and all existing recorded restrictions. Improvements made as a part of a lease for the benefit of the tenant. This is the specific amount allocated by the landlord for the tenant to build-out their space. Any amount over this allowance will be paid by the tenant. An exclusive agreement between the tenant and a real estate broker giving the broker the authorization assist them in leasing space or acquiring a building. Construction in which the landlord is solely responsible to build-out the commercial tenant’s space. 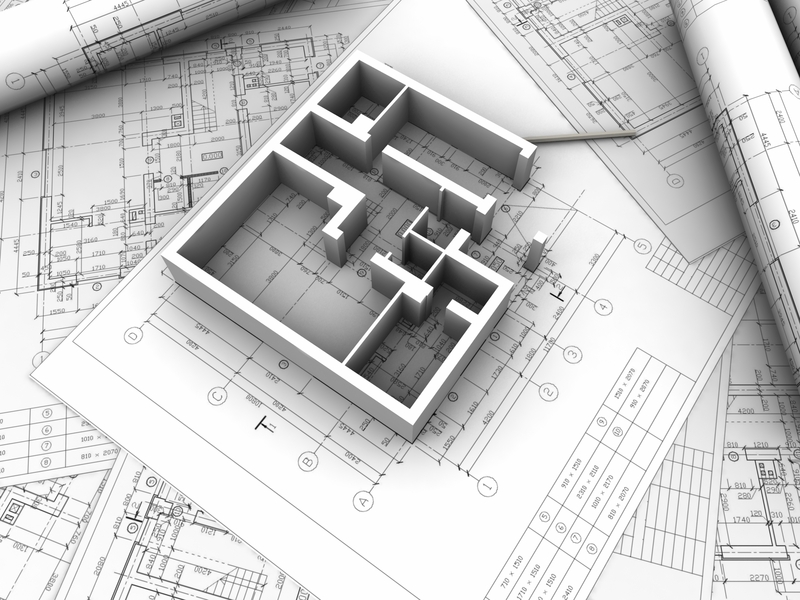 This will usually require detailed architectural plans from the tenant and preliminary estimates from a contractor. Established by measuring the commercial tenant’s space occupied between the demising walls. The landlord provides the tenant a list of the building standard items that the landlord will contribute as part of the tenant improvements. A set of commercial architectural drawings that tell the contractor specifically what to build within the tenant’s space.